The Polish company AFLOFARM Fabryka Leków Sp. z o.o. applied for the word-figurative trade mark “tabletki na uspokojenie Aflofarm” (in English: Aflofarm tablets for calming down) Z-298475 for goods in classes 03, 05 and 44. The Polish Patent Office refused to grant the right of protection in part of the goods in class 5 covering dietetic substances for medical use, food for babies. The PPO held that the right of protection shall not be granted for a sign that misleads the public as to the nature and properties of the good. Such misleading information is a sign that may cause false image of the average buyer as to the nature of the product, its quality or properties. The assesment of content of a signs is made by him or her from the perspective of the average consumer. The interest of the buyers requires the assumption that the sign is misleading, once a small group of consumers may be misled as to the characteristics of the goods or services, since these characteristics may affect the decision taken, in relation to those goods or services. Under such assumption, the assessment cannot be affected by anything outside the relationship sign – the goods with the reasonable buyer’s idea on such relationship. It follows that the sign “tabletki na uspokojenie Aflofarm” on the goods listed in class 5 should be considered as misleading the buyers as to the nature, purpose, or functional characteristics of these goods. AFLOFARM argued, that it’s not true that the buyer/consumer “is left alone” with a sign and a product bearing the questioned trade mark. These products are only available in pharmacies and are issued only by a professional that is a pharmacist. Thus it excludes the confusion of the average consumer as to whether he or she has bought the wrong product. The Voivodeship Administrative Court in Warsaw in its judgment of 18 March 2010 case file VI SA/Wa 2127/09 agreed with AFLOFARM’s arguments and reversed the contested decision. The Court also noticed that “tabletki na uspokojenie Aflofarm” trade mark was applied for dietary agents/means for medical use, rather than dietary substances for medical purposes. For this reason, the Court held that the goods that are marked with a “tabletki na uspokojenie Aflofarm” trade mark will not cause consumers’ confusion since products of such indications or effectiveness can be classified differently, depending on their registration or application. Categories: absolute grounds for refusal | Art. 107 §3 APC | Art. 131(1)(iii) IPL | Art. 245 IPL | Art. 7 APC | Art. 77 APC | Art. 80 APC | Polish Administrative Proceedings Code | product packaging | trade mark refusal | trademark law | Voivodeship Administrative Court. On 23 March 2002, “Sery ICC” Company from Paslek applied for trade mark protection for a form of plain package Z-248526 that preserves the cheese, in classes 2, 29 and 40 for goods such as dietary food for therapeutic purposes, baby food, milk and milk products, cheese, butter, margarine, milk processing and product cheeses. The Polish Patent Office (PPO) acknowledged that such packaging is not suitable to distinguish any goods of one undertaking from the another, especially yellow cheese. According to the PPO, a shape of the package in the form of a rectangle, with slightly rounded sides in black, is nothing special in the cheese industry. The PPO noted that such packages are available on the Belgian market and refused to grant protection for the 3D sign. The Polish Patent Office has ruled on lack of distinctiveness. 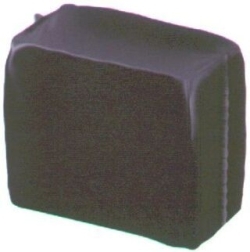 According to the PPO, a plain shape of the package in black, without any additional elements will not help the average consumer to identify a product with a particular manufacturer, or in particular, with a company with Paslek. 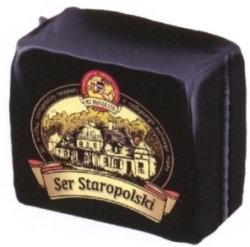 “Sery ICC” has also applied for another 3D mark – black packaging with a label “Ser Staropolski” and the protection right was granted by the PPO, R-166989. 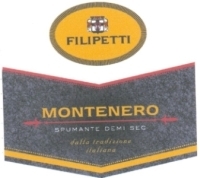 The PPO reiterated that a sign must be assessed in its entirety (the shape and color) and ICC’s first application did not meet the requirements of distinctiveness which also means that it has not any distinguishing characteristics and it cannot be used to indicate the origin of the goods properly. “Sery ICC” appealed against the PPO’s decision. The Voivodeship Administrative Court (VAC) in Warsaw in its judgment of 30 July 2008, case file VI SA/Wa 401/08 has noted serious errors in the decision and ruled it void. In the application proceedings before the PPO in the case of refusal to grant the protection right, an applicant may request a re-hearing of the matter by the PPO. And the second decision may be appealed before the VAC. In accordance with article 245(1) of the Polish Act of 30 June 2000 on Industrial Property Law – IPL – (in Polish: ustawa Prawo własności przemysłowej) of 30 June 2000, Journal of Laws (Dziennik Ustaw) of 2001 No 49, item 508, consolidated text of 13 June 2003, Journal of Laws (Dziennik Ustaw) No 119, item 1117, with later amendments, the Office must decide whether to grant protection or to refuse to do so. This is the most important and missing part in the contested decision. The VAC did not assess whether such a mark can obtain protection or not. Once the judgment is final and binding, the case will return to the Polish Patent Office for re-hearing. Categories: Art. 245 IPL | distinctive character | Polish Act on Industrial Property Law | trademark law | Voivodeship Administrative Court. The Voivodeship Administrative Court in Warsaw in its judgment of 31 October 2006, case file VI SA/Wa 1420/06 held that while examining whether the rights of protection may be granted, it should be determined whether a sign could serve as a trademark at all. Only after it was decided that a sign could be a trademark, one should examine whether a mark is sufficiently distinctive and therefore to check whether the sign is suitable for distinguishing the specific goods in trade, to designate of which it has been applied for. The lack of distinctive character of a trade mark is considered as the absolute grounds for refusal to trade mark registration, but a sign may acquire distinctive character as a result of use. The Court found it difficult to say that red color combined with different kinds of equipment and tools, or accessories used in construction is something extraordinary, unique and unprecedented, which could stick decisively in the memory and let the consumer individualize the goods in the market among the goods of the same type but originating from different companies. This judgment concerned separate Color RED Pantone C32, IR-803195. Categories: Art. 129(1)(ii) IPL | Art. 245 IPL | distinctive character | non-traditional trade marks | Polish Act on Industrial Property Law | single colour | trade mark examination | trade mark refusal | trademark law | Voivodeship Administrative Court.